Hello students! It’s Shayna from EspressoEnglish.net and this is our final edition of “learn English from the news” for this year. A few days ago, it was the holiday of Thanksgiving in the United States. Most people celebrate it with their families, but there’s a growing tradition of also celebrating “Friendsgiving” and having an additional meal with friends – and that’s the topic of this week’s article. You can click the link to read the original text. There are a lot of great vocabulary words in this article, and I’m going to explain 15 of them. If you’re watching me for the first time, make sure to subscribe to my channel or sign up for my email tips, so that you can get future lessons. The beginning of the article says that many young adults want to host a Friendsgiving party. If you host an event, meal, or party, it means you organize it and invite people, often to your own home. People often have questions about Friendsgiving etiquette. Etiquette refers to polite behavior that follows the socially-accepted rules. One question is if it’s an imposition to invite guests to a Thanksgiving-style meal so close to the actual holiday. An imposition is an annoying and inconvenient demand. The answer is no, it’s not an imposition. It’s ok to have a Friendsgiving meal, but you might want to deviate – that means go in a different direction – from traditional Thanksgiving food in order to avoid stealing the thunder from the real holiday. The idiom steal someone’s/something’s thunder means to take away most/all of the attention. The best way to organize a Friendsgiving meal is hands down potluck-style. Hands down means definitely, without a doubt. And the word potluck refers to a group meal where everyone in the group brings a dish for everyone to share. Friendsgiving used to be something that people who were living far away from their families would do as an ad hoc replacement for Thanksgiving. Ad hoc describes something that’s spontaneously created for a specific purpose. But now many people celebrate it in addition to Thanksgiving. Why has Friendsgiving become so popular? The article says there are a few compelling theories. Compelling describes something interesting and convincing. One possible reason for the surging popularity – that means the suddenly increasing popularity – is simply the catchy name “Friendsgiving.” The adjective catchy refers to a word, phrase, idea, or melody that is attractive and easy to remember. Thanksgiving has been a strong family holiday for a long time. The phrase “Home for Thanksgiving” became a mantra. A mantra is a word or phrase that is commonly repeated, especially for motivation or to reinforce an idea. But nowadays, many young adults consider their friends to be family. One woman said that Friendsgiving is a great time to catch up with friends. The phrasal verb catch up with, in this context, means to talk with people and find out what’s new in their lives lately. Another woman has celebrated Friendsgiving for around seven years, and her friends’ party is described as raucous and boozy. The word raucous describes a gathering that is loud and crazy, and boozy is the adjective form of booze – an informal word for alcohol. So a raucous and boozy party means a loud, crazy party with lots of alcohol. Some people might consider an extra celebration to be overkill. Overkill refers to an excess, beyond what’s necessary and appropriate. But a professor interviewed in the article points out that Friendsgiving/Thanksgiving are great because they’re not expensive; instead they involve homemade food, generosity, and hospitality – that means welcoming people in a warm and friendly way. I hope you’ve enjoyed my series of English in the news videos in November. 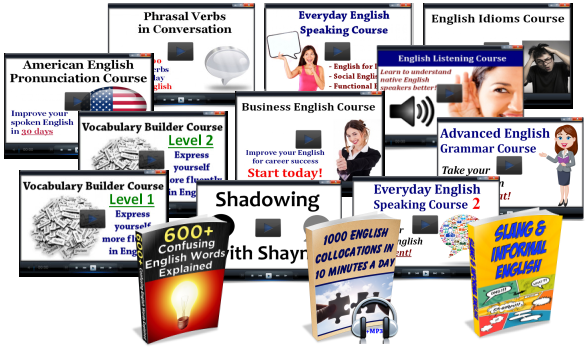 Again, you can subscribe to keep following my lessons, or visit EspressoEnglish.net to join one of my courses. Thanks for watching and I’ll talk to you next time!